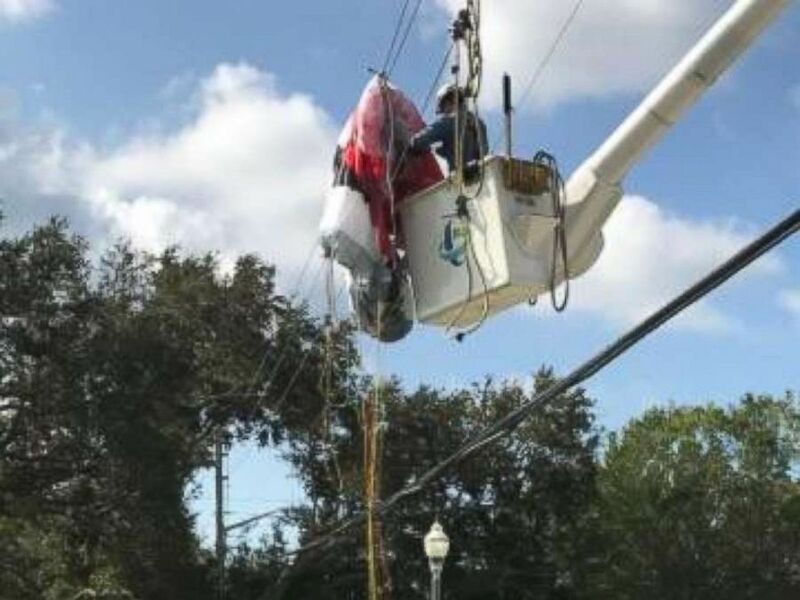 The unidentified male paraglider told St. Petersburg Fire & Rescue officials that he experienced engine trouble and was attempting to make an emergency landing at Bear Creek Park when he became entangled in the power lines, according to ABC affiliate WFTS. "I heard an explosion and a yell -- the yell was one of those blood curdling kind of yells," Jim Tallon, who lives across the street from where the crash happened, told WFTS. 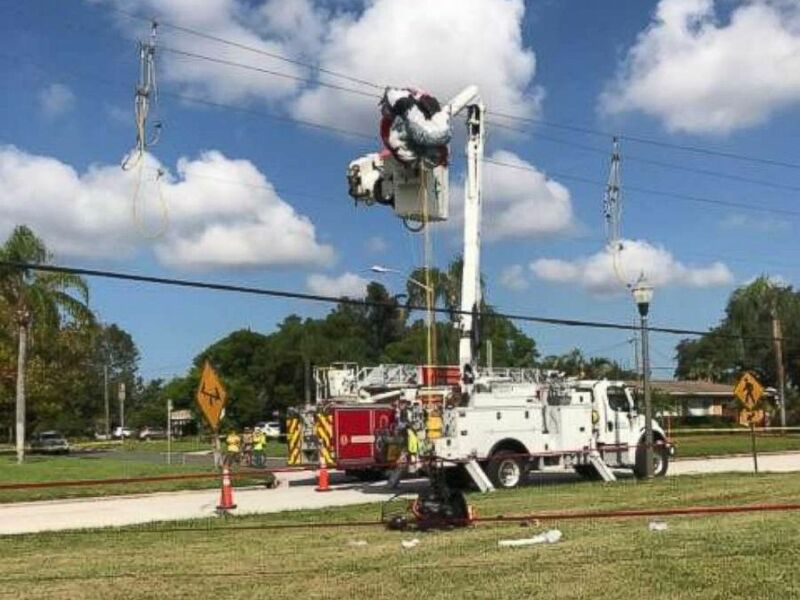 After firefighters untangled the man from the power lines, he was transported to Bayfront Health St. Petersburg's trauma unit with electrical burns, St. Petersburg Fire & Rescue tweeted. 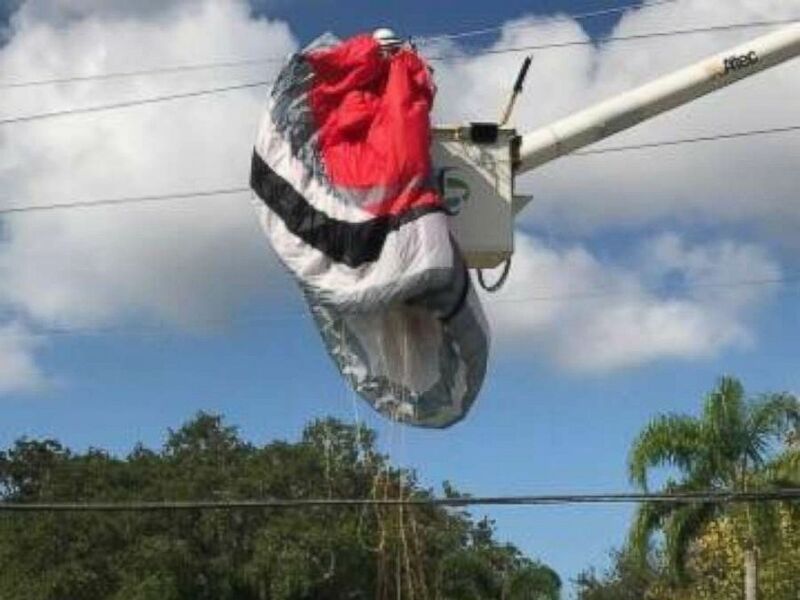 A paraglider slammed into power lines carrying 7,200 volts of electricity on Sept. 26, 2017 in St. Petersburg, Florida, knocking out electricity to about 40 homes. Duke Energy crews also arrived on the scene to untangle the paragliding equipment and to restore power to nearly 40 homes. "If you come in contact with multiple ones you are almost doubling the voltage that has the potential to go through your body,” St. Petersburg Fire & Rescue Deputy Marshall Steven Lawrence said. Paragliders have long plagued the neighborhood, Tallon said. "You could start a house on fire, he could kill himself," the fed-up resident said. "He could hurt somebody on the ground. There is a child’s playground right down there." The pilot did not violate any laws, police said, adding that paragliders are allowed to take off and land wherever they want, provided they don't enter restricted air space.